The decisions you make immediately after receiving a cancer diagnosis are ones that can have a long-term impact on your family, your finances and your future. The costs of a medical error at this critical time are significant and not limited solely to the considerable mental anguish involved. Even with the most advanced care, both delays in diagnosis and false positives are common. In fact, a recent study by Johns Hopkins Hospital found that cancer was among the conditions most prone to physician error, with one in five cases misclassified, and one in 71 misdiagnosed. These errors can have very real implications, from lost wages to limited treatment options and a diminished quality of life to death. If you have been misdiagnosed with cancer, you owe it to yourself and your family to pursue your legal options. 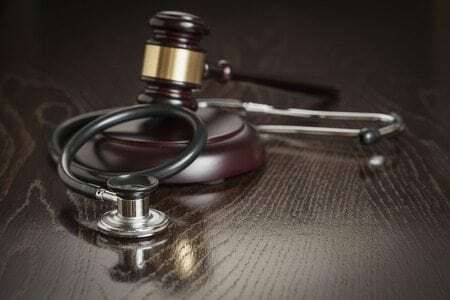 A medical malpractice or hospital error lawsuit is often the best way to ensure your quality life is maintained during and in the immediate aftermath of this difficult time. A cancer misdiagnosis lawyer will first determine the cause of your misdiagnosis. From there, your lawyer will review your options for taking legal action. The decision to pursue a cancer misdiagnosis lawsuit is a highly personal one. Too often, patients will fail to fully explore their legal options for various reasons. It is important to remember that a lawsuit isn’t about punishing someone who made a mistake — it’s about providing security for your family when your future is uncertain or getting your life back to normal following a traumatic incident. The misdiagnosis lawyers at Potomac, Maryland’s Shulman Rogers can help you identify what you are entitled to. This may include compensation for medical expenses, lost income, and pain and suffering related to your misdiagnosis. The best way to get started is to contact our office directly and schedule your free initial consultation. Our team has been representing clients in medical malpractice and hospital error cases since 1972. We are licensed to practice in D.C., Maryland and Virginia, and we are available to provide co-counsel on difficult cases. Contact our office to schedule your initial consultation with one of our cancer misdiagnosis lawyers today.